There’s nothing wrong with a classic sandwich at lunch, but why not change things up a bit this school year? 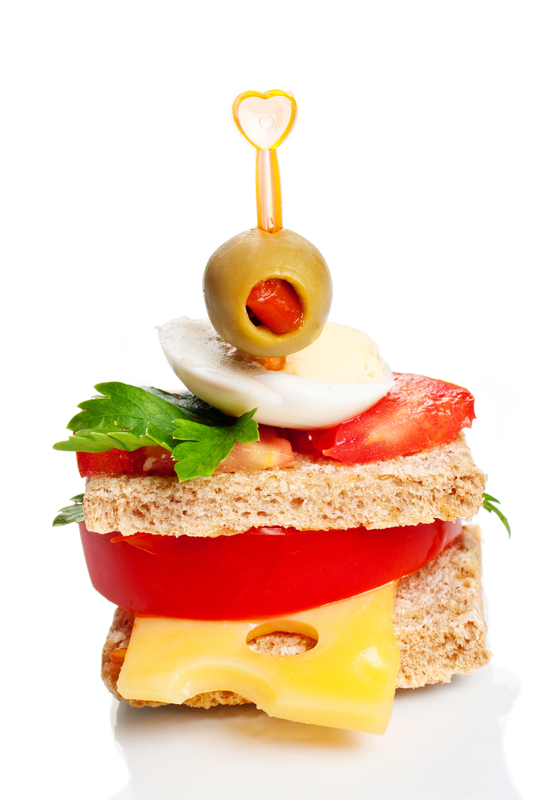 Here are 6 non-sandwich ideas to make your kiddo’s lunch the most envied in the cafeteria! Pasta salad can be tailored to exactly what your child likes! Avoid cream-based dressings and include lots of color – that can come from bell peppers, broccoli, baby corn, tomatoes and more. Add chickpeas and cheese cubes for protein and use less dressing and more spices to liven things up! A perfect pasta salad to pack is our Grow Fit Spinach and Ravioli Salad. This is a great chance for parents to get creative and use what they have sitting in their pantries. If you have leftover meat from dinner, pack that with whole-grain tortillas and healthy toppings for super simple tacos! You can also use leftover chicken in this Fruity Curry Chicken Salad. Give kiddos a “deconstructed sandwich” for lunch by adding the different sandwich components to skewers! Slide on lean lunch meats, cheese cubes, pickles and cherry tomatoes for a healthy and filling lunch! Plus, depending on the toppings, these can be made the night before! What kid doesn’t want to indulge in Lunchables? Avoid the overly-processed meal and send your little ones to school with a homemade version! Pack whole-grain crackers and small cups of marinara, shredded cheese, veggies and meat. Voila! They get their special lunch and you’ll be comfortable knowing only natural ingredients are going into their growing bodies! Let’s face it – bread can be boring. The remedy? Turn the sandwich into pinwheels! Put your child’s favorite sandwich toppings into a whole-wheat tortilla or flatbread, roll it up and slice into bite-size pinwheels. Homemade soup is sure to keep your little one full for the remainder of their school day! Soup is perfect for a cool fall day, but until temps start going down, pack them this refreshing Mango Fruit Soup! Don’t forget free printable lunchbox notes to complete the meal!